It’s Friday!!! A very wet one where I am, and it looks to be that way for the next week. 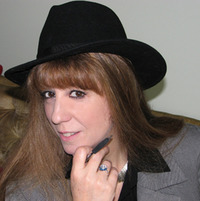 My guest today is Mae Clair, author of the Point Pleasant Series (if eerie supernatural thrillers are your favorite flavor, I highly recommend!). Stop by here on March 1st for the cover reveal of her upcoming book, Cusp of Night, the first in a new series. 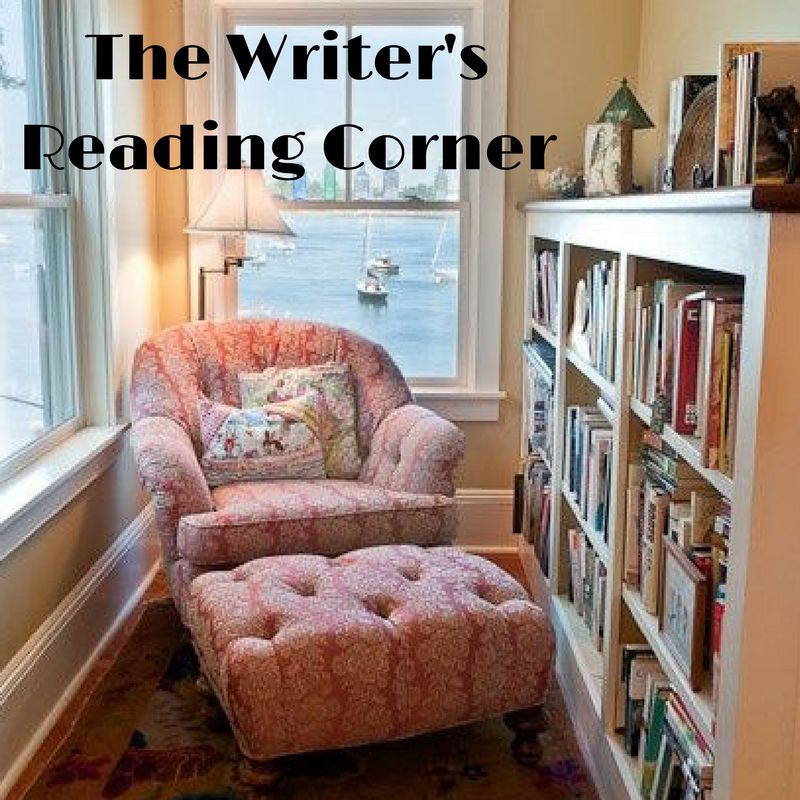 Teri, thanks for inviting me to participate in the Writer’s Reading Corner. It’s a delight to be here and talk about something we all love—books. Lately, I’ve been enthralled by novels that feature alternate timelines. This has become trendy in mainstream and mystery fiction, with one timeline usually set in the present, the other in the past. Both storylines eventually converge for a climatic ending or spectacular wrap to the mystery. The first book I read with a past/present plot was The Night Sister by Jennifer McMahon. A psychological thriller/mystery with a taint of the supernatural, spot on for my preferred genre. Plus look at that gorgeous cover. Ominous and eerie, it sucked me in. The story revolves around three women—Piper, Margot, and Amy—once childhood friends, who are forced to revisit a grim discovery from their past when Amy and her family are found dead. The story moves between the summer the girls spent exploring an abandoned hotel, and the present where Piper and Margot are confronted with the unfathomable news Amy is believed responsible in the deaths of her family. I was riveted from page one and devoured the book in a few days. Afterward, I promptly read most everything Ms. Mahon has written. By then, I had already started my own book with a past/present timeline. Cusp of Night, releasing in June, is the first novel in my Hode’s Hill Series, and alternates timelines between the present and the late 1800s. Since I am still waiting on a cover from my publisher, I’m not ready to share the official blurb. But I will tell you that my main character, Maya Sinclair, finds herself caught up in a centuries-old mystery after renting a brownstone that once belonged to a spiritualist known as the Blue Lady of Hode’s Hill. If you like suspenseful tales with a twinge of the supernatural, I think you’ll enjoy Cusp of Night. I’ve populated it with a creature of urban legend, lingering ghosts, and enough twists and turns to keep you guessing until the end. Please keep Cusp of Night on your radar for June. In the meantime, perhaps I can distract you with my Point Pleasant Series, three novels spun around the urban legend of the Mothman. As a child, Eve Parrish lost her father and her best friend, Maggie Flynn, in a tragic bridge collapse. Fifteen years later, she returns to Point Pleasant to settle her deceased aunt’s estate. Though much has changed about the once thriving river community, the ghost of tragedy still weighs heavily on the town, as do rumors and sightings of the Mothman, a local legend. When Eve uncovers startling information about her aunt’s death, that legend is in danger of becoming all too real. Caden Flynn is one of the few lucky survivors of the bridge collapse, but blames himself for coercing his younger sister out that night. He’s carried that guilt for fifteen years, unaware of darker currents haunting the town. It isn’t long before Eve’s arrival unravels an old secret—one that places her and Caden in the crosshairs of a deadly killer. This series is absolutely fabulous. I hope everyone checks it out. I’m really looking forward to Mae’s new series – and since I’ve already seen the cover, I can say it’s gorgeous. Thanks for having me as your guest today. I love talking books! Hi, Staci! *waving* I love talking about books so when Teri started her new blog feature, I couldn’t wait to participate! Great feature with a teaser for the new series. I loved the Point Pleasant series. Count me as a fan of the Point Pleasant series also! Thanks, Craig. I feel like I really came to know those characters and that town after spending three years with them. Still waiting for the television series. The reviewed book and Mae’s new book and existing series sound very interesting, Teri. Great post. 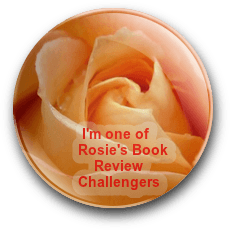 I’ve read another of Jennifer McMahon’s books and it was definitely captivating – as is Mae’s Point Pleasant series. Really excited about her new book! And of course, you had me at “cats”. Hi, Sue. I have OCD–obsessive cat disorder, LOL. My cat, Raven, is always looking for attention when I’m writing, just like most felines! Yep – same here with Bond. The Night Sister sounds fab. Adding it to my TBR list. Loved the Point Pleasant series! And Jennifer McMahon is now one of my auto book authors. Her books are spectacular! Thanks for the introduction to Jennifer! Can’t wait to see the new cover and I know the story is going to be awesome!! Trust me, Jan – the cover is worth the wait. Thanks so much, Jan. I’m really pleased with how the cover turned out and can’t wait to release it. I appreciate your interest! And Jennifer’s books are fabulous! Thanks, Teri! I look forward to Cusp of Night, Mae! Thanks for dropping by, Linda – have a great weekend! That’s so good to hear, Linda! Thank you for your interest! 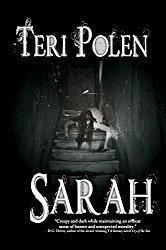 Loved the Point Pleasant series and looking forward to the Hode Hill books:) Thanks for sharing The Night Sister…sounds like a good read! Can’t wait to see your new cover. And you can’t go wrong with The Night Sister. I was enthralled! The Night Sister sounds intriguing, I’ll have to check it out! As everyone else has said, I loved your Point Pleasant series also and I have A Thousand Yesteryears on my Kindle, I just need more reading time! If you find that extra reading time, Jacquie, let me know where I can get some. Hi, Jacquie. The Night Sister is an awesome book and I completely hear you about needing more time to read. I think it goes hand in hand with being a writer, LOL. Thanks so much for stopping by to check out my post! Two of my favorite people on the same stage. I think my bucket list is complete. Best wishes on the Book, Mae and thanks to Teri for hosting you today. Awwww – sending you a virtual hug for that comment, John! Loved the Point Pleasant series and can’t wait for Cusp of Night. We’re of the same mind on that, Joan! Thanks, Joan. The first book is always special, so I’ve got my fingers crossed for Cusp. Thanks for visiting today! Thanks, Diana – I’m also enjoying this series and learning the different influences books can have on readers. Diana, I’m enthralled by books with dual time periods. There’s something special about seeing how all the pieces gel in the end. It was challenging to use that formula in Cusp of Night, but I couldn’t resist giving it a try. All three books in the Hode’s Hill series will follow that same path. I’m finding I love writing this way. Thanks for visiting today. Teri’s new blog feature is loads of fun! I like the sound of this, Mae! I’m a sucker for time-traveling/overlap as well. You’re welcome! And I’ll look for your story when it’s ready. Great post, Mae! Teri’s got a great site, here. And I loved the Point Pleasant series. Looking forward to the Hode’s HIll series. And I’ll have to check out The Night Sister. I haven’t read many books with dual timelines, but seeing as my WIP has present and past timelines, I’d like to see how other writers handle it. Thanks so much, Julie – and thanks for dropping by! Julie, I didn’t realize you were doing present/past timelines too. I can’t wait to read yours! The past/present will be a theme through all three of my Hode’s Hill novels. Jennifer McMahon is an absolute pro at it, though I’ve read other authors who handle it well too. The Night Sister is the book that started my love affair with the formula. Highly recommended! So excited for your upcoming cover reveal and release, Mae! I’m sure this series will be another gem. Cheers to you! Thanks so much, Teri, for hosting and for the warm welcome, as always. Thank you, Natalie. And Teri is always such a gracious host. I’m very excited about the new series. I really enjoyed weaving the multiple timelines for that smooth fit at the end. And it’s fun to hang out in a new town with a new set of characters. Thanks as always, for your wonderful support! Always a pleasure having Mae visit. Big congrats to Teri. I look forward to this book. It sounds mesmerizing with the alternate timelines. And of course, Mae, I love all your books with their mysterious goings on. I’m excited about Mae’s new series also, Flossie – thanks for stopping by! I was pretty over the moon when I got that review from Kevin O’Brien, Annika. I love his work and he’s one of my automatic buy authors. I remember opening the email from my publicist with Kevin’s review, and then just standing up and pacing around talking to myself (omg, omg!). My husband wasn’t home at the time and I couldn’t wait to share the news. It was definitely a highlight for me, LOL! No wonder the book made such an impact on Mae. And yes, the cover is perfect. Wow. I’m inspired. I’ve been giving the occasional vague thought to my third Atonement, TN book, which I always wanted to be a backstory for the main characters (and so in a faraway time). Anyhow, thanks for hosting, Teri. I enjoyed these meanderings with Mae. Hugs all around. Hi, Teagan. It sounds like an alternating time line might work for you as well. I really enjoy books that take that approach, especially when it all fits together so nicely at the end. That’s something I’ve never tried, Mae. But you might well be right. Sigh… too many other things on my plate before I get to book 3. I know that feeling, LOL! Thanks for swinging by, Janice!